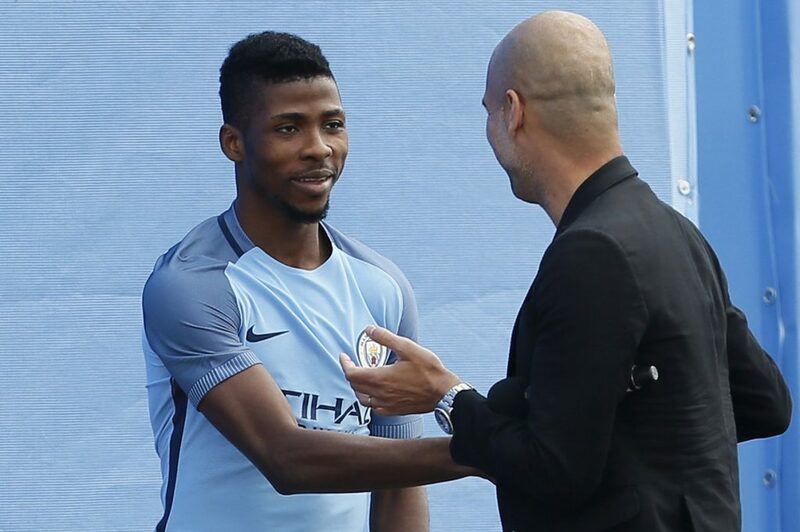 Super Eagles striker Kelechi Iheanacho says that despite getting a chance under manager Pep Guardiola at Manchester City he is not taking his place in the team for granted. Iheanacho joined City from the Taye Academy in Nigeria in January 2014 and broke into the club’s senior side last season with some eye-catching displays. His blistering form this season – which includes a goal and assist in City’s 2-1 derby win at Manchester United – has earned universal plaudits again, but he refuses to get carried away. “I’m not letting all the praise get to my head because I still have a lot to learn in this game,” Iheanacho, who has scored three goals in seven appearances this season, told BBC Sport. “It’s been a very progressive period for me at the club, but playing alongside stars like Sergio [Aguero], Yaya [Toure] and other great players provides a big chance to keep working hard. The 19-year-old scored 14 times and produced seven assists last season even though 25 of his 36 appearances were as a substitute. That feat saw him finish as City’s third-highest scorer in all competitions, behind Sergio Aguero and Kevin de Bruyne. Guardiola has rewarded him with a long-term deal on much improved terms at the Etihad, but the player admits he has a lot of work to do before he can nail downa regular place in the starting line-up. “We have experienced players in the team and as someone who is learning and improving, I am happy to take my chance when the manager calls,” Iheanacho said. The young striker’s goal-scoring form as asubstitute is such that he is now seen as the most dangerous member of the squadon the bench. But he is refusing to get swept away by his new star status, saying his goals and assists are down to teamwork. “I score goals not just because I am playing up front but because I get to play in a fantastic team,” said Iheanacho.